Lend your skin a flawless finish with Miss Claire Prestige Shine Beige make-up base. This make-up base has a fine, blendable texture, which will blend effortlessly with your skin to conceal all unwanted spots and blemishes. 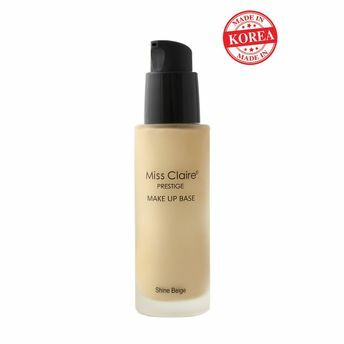 Apply this base before make-up and get a natural-looking skin instantly.